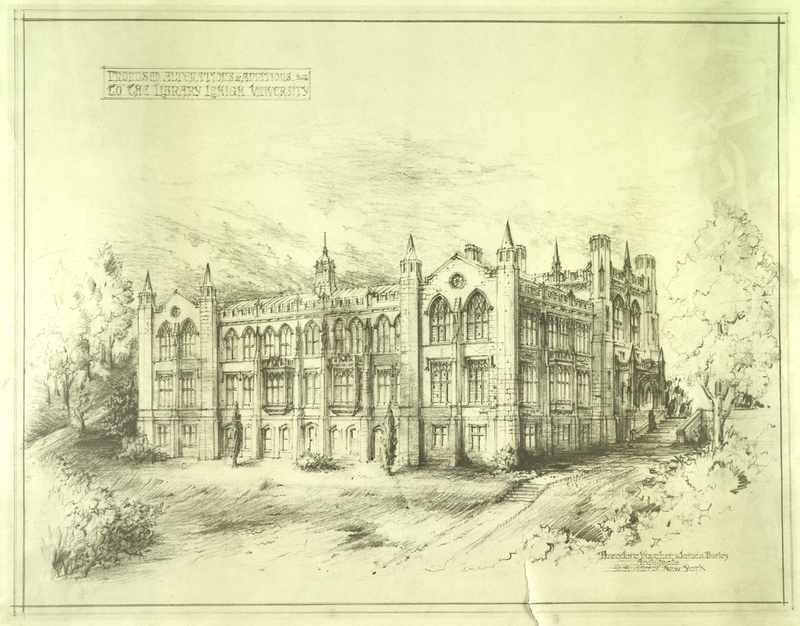 The original University Library was commissioned by Asa Packer as a memorial to his daughter, Lucy Packer Linderman. Addison Hutton, a Philadelphia architect, designed the original 1877 building. In 1929, Visscher and Burley built an addition, which wrapped around the original library excluding the south façade.